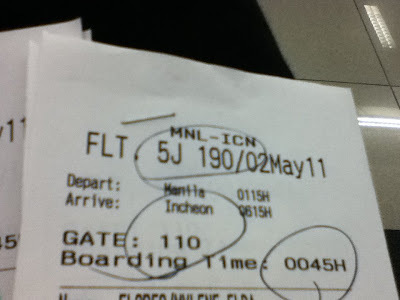 Bound for Jeonju, South Korea – One of BB's many first’s for 2011! 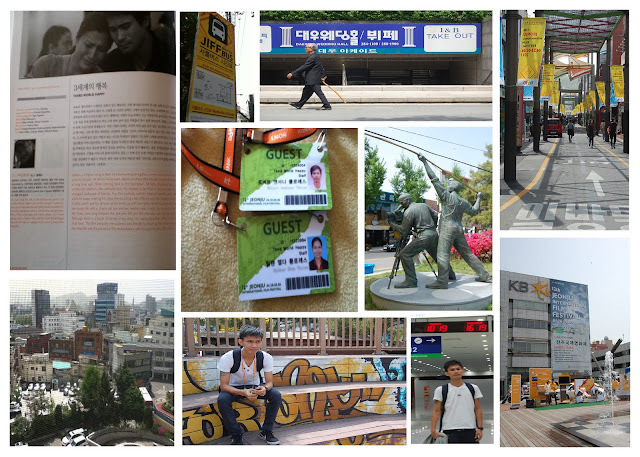 My trip to Jeonju, South Korea wasn't that smooth sailing during it's pre-planning stages. It probably took the JIFF coordinator more or less a month before my brother and I could have the 'go' signal to apply for a visa. If I may recall, Choy and I only only got scheduled to go to the Korean Embassy at Mckinley Road, weeks prior to leaving the Philippines. We went there with all our paperwork on April 15 2011, and were asked to submit our Passport and supporting documents. I was also given a claiming stub/slip for our passports after a brief interview, should we get approved of a visa. We were then scheduled to pick-up ours two weeks later. Choy (my brother) and I submitted our company's SEC Business registration permit (For Brass Knuckles Inc.), Brass' Company ITR, Mayor's Permit, our Bank Certificates, and the Visa Application Form, along with our 2x2 photo/s. These requirements were actually required for Business entities. Anyway, other than being Filipino citizens, we also didn't pay for any application fees since we were only getting a single entry visa. The foreigners on the other hand, and those who will be applying for multiple entires will get charged for different amounts. Ok, so why were we applying for Korean Visa's? Well, my Kuya's full-length film entitled THIRD WORLD HAPPY was invited by the Jeonju International Film Festival for an international premiere. His film was 1 of 7 entries that were entered for Cinema One's Original Films last November 2010. His main actors were Sam Milby and Jodi Sta. Maria. Anyway, going back.. my kuya, who happened to have a dual citizenship, no longer needed a visa to travel to Korea. So Choy and I had to get our own. Now, there was only a week left for booking our flights, since I didn't want to risk buying tickets earlier since there was still no guarantee of a visa. But God was really good to us, and he really wanted this trip to push through for us. Plus, Cebupacific was offering a deal then that we could no longer pass on. It was actually a blessing in disguise since the agencies that we called in were offering off-the-wall rates for my brother and I (too much for our budget rather). The Jeonju International Film Festival already started on the last weekend of April, but Kuya was invited to attend the JIFF festival only on the first week of May (2-7 to be exact). And since JIFF was paying for his plane & accommodations, we had no other choice but to go our separate ways. 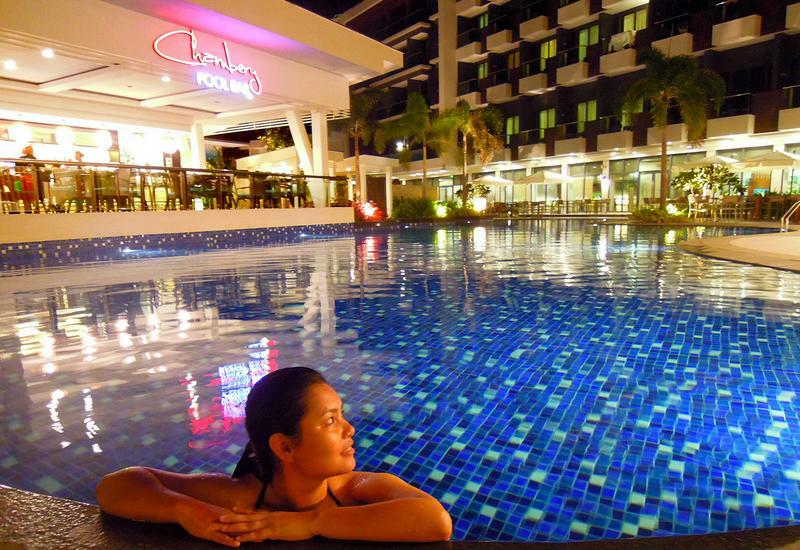 No worries though since JIFF also had our accommodations covered, as Choy and I were allowed to bunk in with kuya. They also gave us complimentary breakfast passes, and our own paid-bus tickets (ICN airport-CORE HOTEL-ICN Airport). But what was even cooler about JIFF was that they also gave us press kits, and our very own festival ID's. And another perk to being invited to the festival was that we could get our tickets for free, to any movie we wished to see (we didn't get to see any actually since Kuya was too busy doing some PR stuff, while Choy and I went window-shopping..hehehe). Awesome, right? The JIFF volunteers were also super helpful and cheerful too, so we definitely had a fun time with them. We also got a personal walking tour around the JIFF cinema complex, which was also pretty interesting. Other than that, my brother and I also got to meet a lot of celebrated Filipino Film Makers in Korea (most especially Kidlat Tahimik). Jeonju welcomed us whole-heartedly. The cold breeze, the friendly people, the crazy food, and the interesting culture that enveloped the koreans in Jeonju were actually surprising. We were truly amazed by their hospitality. Would love to visit Korea since the place has been so familiar because of those koreanovela yet it still is so far away. Wow! This is nice. I can imagine Choy's excitement on his first trip abroad. :-) I can't wait for more photos on your next post sis. Seen some part of this movie, its good. The one who made this film is your kuya? As in brother? Kapatid? I'm making out Jodi Sta. Maria's face, can't recall, I must be this old lol.... Was it cold when you went? Wow! Where were you able to watch it? :) Actually, my Kuya is my first cousin. :) He took care of us when my father passed away. The storyline and inspiration of the movie was somewhat drawn from my dad's passing..